Just received her and she is beautiful and U absolutely adore her. future. You definitely have yourself a long term customer. I just wanted to say how pleased we are with the 3 girls we purchased from John. I can't wait to see how they produce each year. John was so kind and patient while we decided on our breeding stock. We simply can't thank you enough. You are a shinning light in this hobby and I hope to collaborate again with you in the near future. I found John's website on Faunaclassified, and started to look through the website and what he had available. I was looking for a nice Tangerine female to go with a Tangerine male. that I was interested in buying from another breeder. John replied to my initial email inquiry and was very helpful in providing me many beautiful options to choose. He was great at answering all of my questions and concerns. His animals were such great quality that I actually bought a male from him instead. Payment was made and the Geckos were shipped - the Geckos were even more impressive in person. The packaging was superb,very impressed. I am intrigued with the style of shipping Styrofoam, very nice. The geckos exceeded my expectations and the color was phenomenal. Thanks John it was a pleasure receiving these geckos. Great communications, great animals and all around great transaction. Highly recommend. 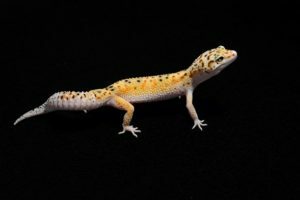 JB Leopard Geckos © 2019. All Rights Reserved.